In 1305, a ‘church of Loghre’ is believed to be largely the site occupied by the former Church of Ireland and graveyard. Two decorated grave slabs, dating from the 13th or 14th century, at the back of the church strongly point towards a medieval parish church. The current building, St Brendan’s Church of Ireland, was built in 1821. 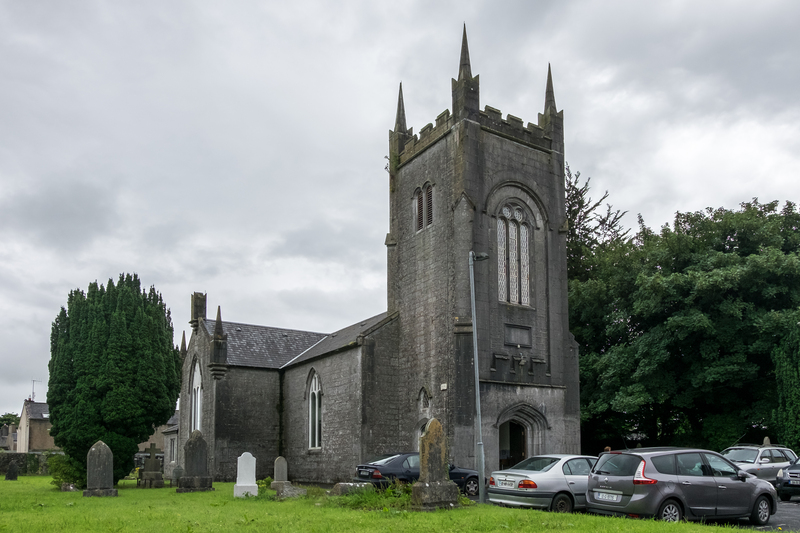 The church closed in 1990 and was leased to Galway County Council for use as the town library.